Memorial Day is both observed and celebrated this coming weekend, with the actual holiday being on Monday, May 28, 2012. The first Memorial Day was officially observed on May 30, 1868. It was created as a day of remembrance for all those soldiers who died fighting in the Civil War. Later, Memorial Day became a day to recognize all Americans who have died from fighting in any war. 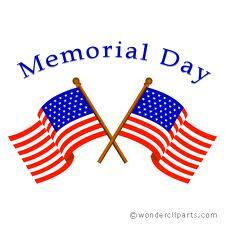 Memorial Day is observed in every state across the nation on the last Monday in May. Most Americans spend Memorial Day weekend attending a cook-out or two with family and friends. Memorial Day is a federal holiday and most offices are closed on this day. It is also a big weekend for traveling because it is the first official weekend to kick off summer. If you are looking for some festivities to partake in on this holiday weekend, there are plenty of events taking place in Washington, D.C. This is a great time of the year to visit the national monuments as well as the Arlington National Cemetery. There is also a National Memorial Day Parade on Monday, May 28th that travels along Constitution Avenue, right past the White House. For more information on Memorial Day events in Virginia and the Washington, D.C. area, visit http://dc.about.com/od/hoildaysseasonalevents/a/MemorialDay.htm.